Could someone help me with this problem? 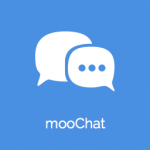 A few weeks ago I bought mooSocial 3.0.2 and mooChat 1.4, but now we are presenting a problem when trying to open a conversation. When we select a user in the chat to start a conversation, a "Server disconnect" message appears on the browser console. In the installation we followed all the steps found in the guide installing the dependencies and running the Mooserver server with pm2 in moosocial/lib/MooNodeJsServer. I´m running php 7.1.26, node js 10.15.1, npm 6.8, apache 2.4 (Debian). 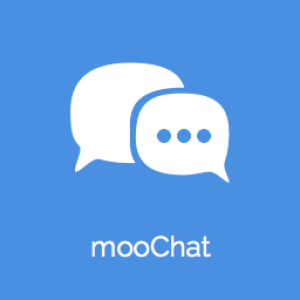 Mark Chat requires port 3000 to run. Seems that you have not open that port yet and chat server has not started yet. Already replied to your ticket. Please provide info so that we can check . I installed Chat, and had to use the background option since np2 wouldn&apos;t install. It says there&apos;s errors. This is the error-log. Anyone else ever run across this and fix it? 2017-02-20T00:49:05.029Z - info: Server l... moreHey. Need advice please. Matthew Shempert Ports open through server firewall. I’ve provided the details to tech so they can look. But now it’s just stopping function of chat when it’s enabled so idk? I&apos;ve set hide offline users in Who&apos;s Online List to off, so all users show in the chat. This works fine on Desktop & Mobile Browser. In the Android & iOS Apps it is only showing friends who are online, and not all users. Just a feedback suggestion to make this setting work for Android & iOS Apps as well. Mark Thanks, will check it on mobile apps. I&apos;d like to see better compatibility with this plugin and the "back to top" plugin. As it stands the chat box overlays the back to top link. Support helped me a great deal in getting this mod working and I am very thankful for their efforts. Timestamps in the chat popup window appear to be adjusting to the user&apos;s time zone. However, timestamps on the "Chat History with ____" page appear to be tied to the timezone of the server. How do we get Chat History page to display the time in the timezone of the user who is viewing the page?